New washing machine in the house! 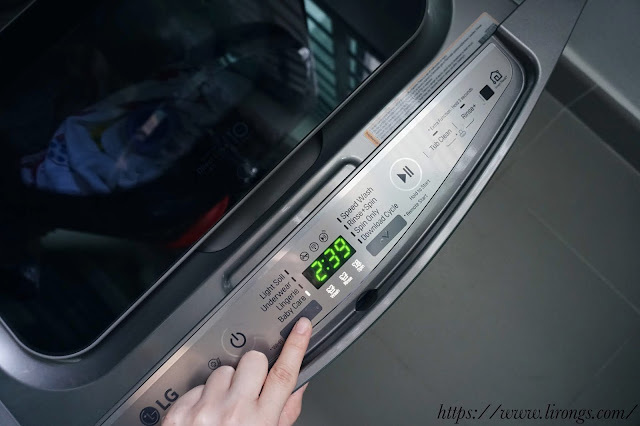 Honestly, when LG TWINWash first came into the market, I bought into the idea of its dual front load washer function. Especially when we were expecting baby Jaylene then. The two loads washing would be handy! 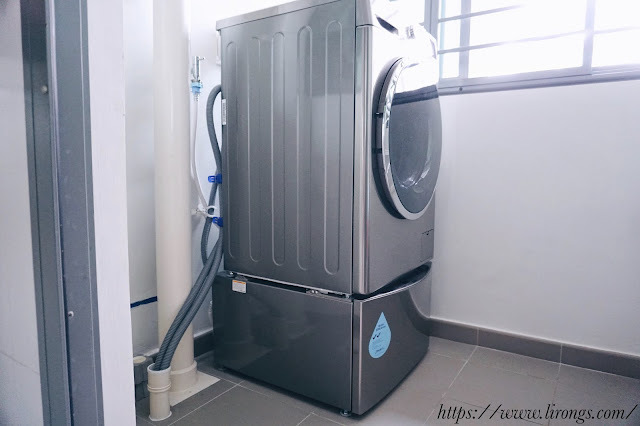 However, when LG TWINWash was first launched, the size of it was humongous for a HDB, so we gave it a miss. Hence, I am so happy now that LG has come up with more versions of TWINWash for different home sizes! 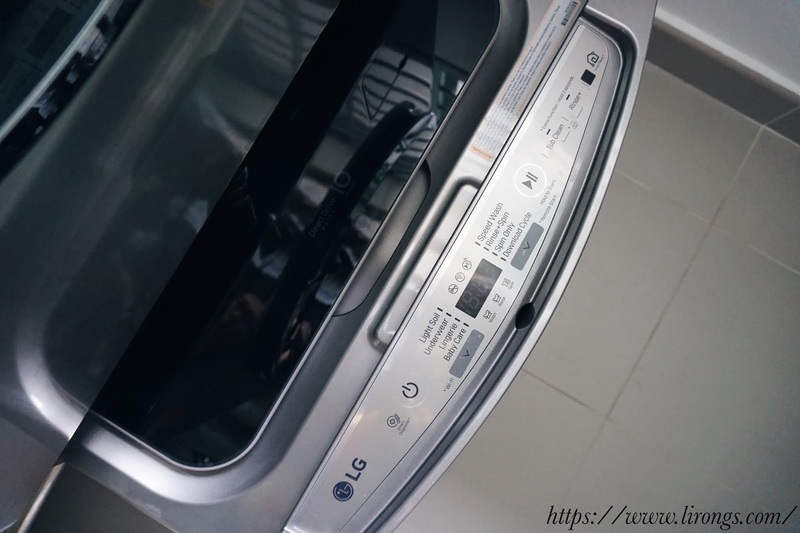 You can refer to LG Singapore's website here for more models of the TWINWash. 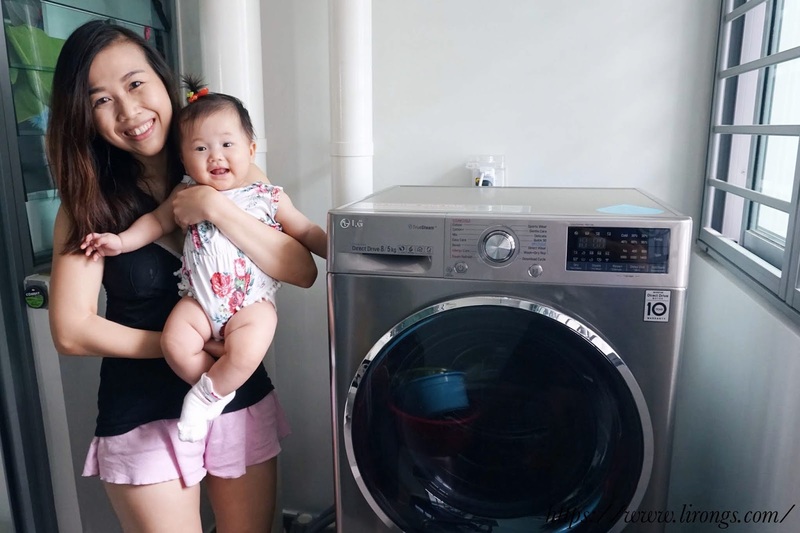 Before we have LG TWINWash, Jaylene's clothing were all hand-washed because we don't want to mix her delicate clothes with ours and it doesn't make sense to wash her tiny and few clothing in a big washer either. Definitely not energy, water or cost saving at all! 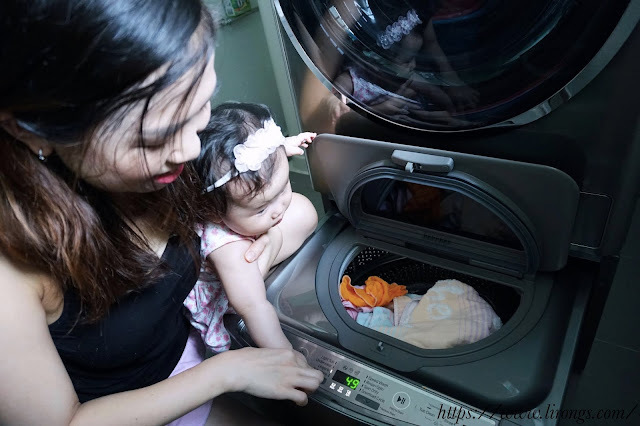 Now with our LG TWINWash , we can wash both the adults' and baby's laundry at the same time! 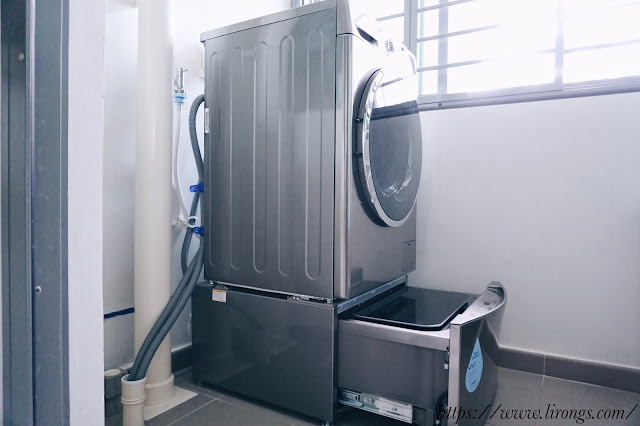 The "main washer" washes our big load laundry that requires faster and deeper cleaning. It is very user friendly, just turn the knob to your desired washing function! TurboWash™ which can finish the big load laundry in under 1 hour. - TrueSteam™ technology which activates Allergy Care and Steam Refresh, reducing 99.9% allergens. Getting rid of house dust and mites for your family's hygiene care. - 6 Motion Direct Drive technology which mimics hand washing action, giving fabrics the proper care while getting clothes ultra clean. - SmartThinQ™ technology which allows you to operate or monitor your laundry from anywhere, anytime. Now the exciting Mini Washer! 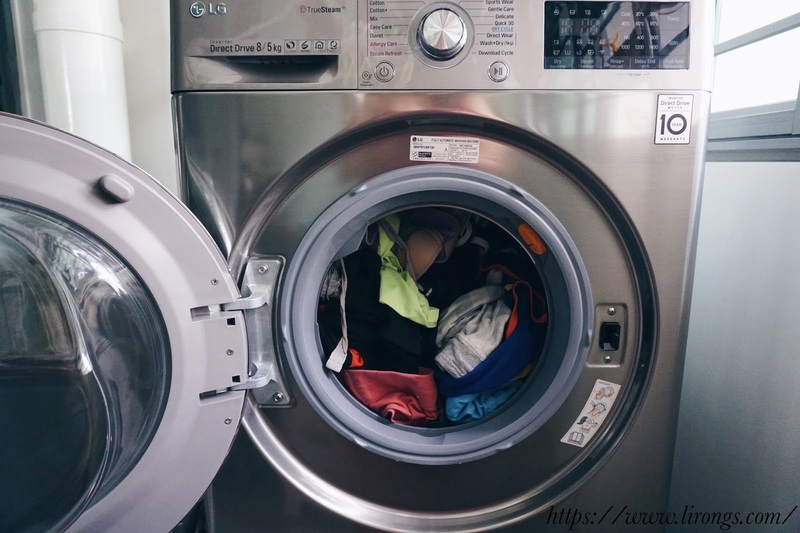 It is a separate washer to takes care of small loads that require special care. Such as our sport wear, underwear, and baby clothing! 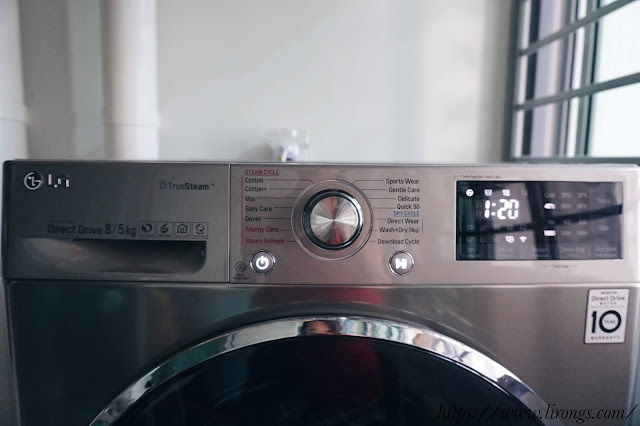 It is really straight forward to use to mini washer. 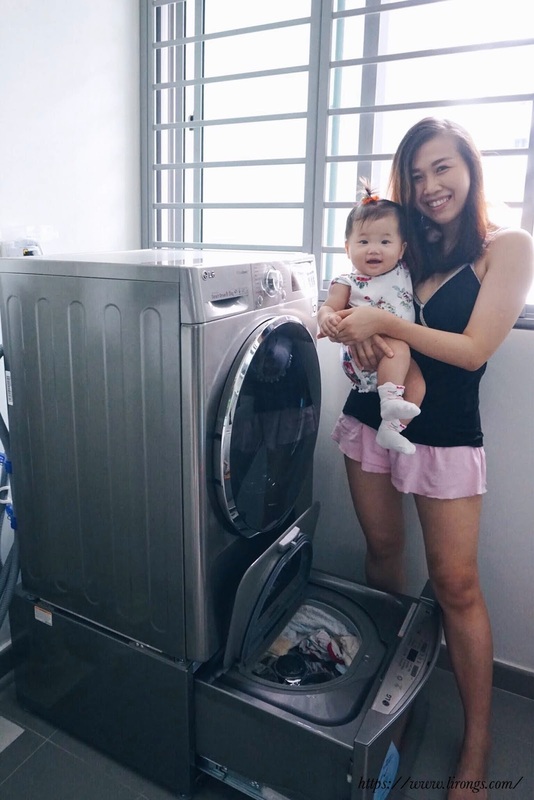 We have been using it to take care of Jaylene's daily laundry! The size is just right her for small load. Definitely much more energy saving and cost effective! Notice the blue rubbery thing? 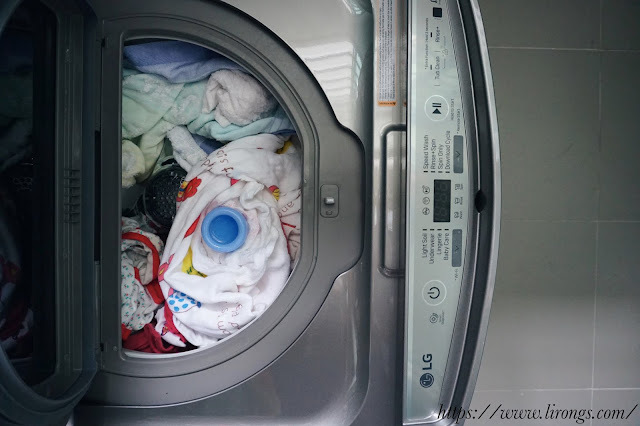 Unlike the main washer, the mini washer doesn't come with a detergent dispenser. Hence this smart introduction of the washable detergent holder! • All these Are what we can get Done with Asap With The Help Of Our Root HackTools, Special HackTools and Our Technical Hacking Strategies Which Surpasses All Other Hackers. If you need help you can read this. 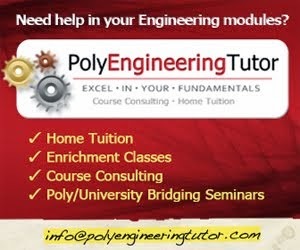 I had just realised I had made a mistakes at my place of work and these mistakes will get me fired but then my friend introduced me to an organisation of computer geniuses Softtechgeeks@gmail.com that saved my job. They hacked into the company's data base and helped me correct my mistakes the fun part was that they covered there tracks so well no one knew they were ever in the data base. The Coliseum Lot will be monitored by UK Transportation Services. Only UK employee-permitted vehicles will be allowed entry unless guests are using the metered spaces to access the UK Ticket Office.Breeders Cup 2018 Live Stream The UK Student Center is not available for parking. Thank you for reviewing the washing machine! It looks perfect for family with baby.